In chemical, dye industries effluent generated having high TDS ranging from 5-20%. In this type of effluent various organic and inorganic material is present in the effluent. 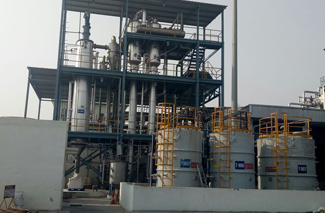 Zero Liquid Discharge System (ZLD) operation with evaporator and centrifuge will be very difficult for operation. In case to recover the 98% of the water present in Effluent, evaporator with Agitated Thin Film Dryer (ATFD) will be trouble-free solution.